Tickle bees are emerging at Buhr Park thgis weekend. Look in sandy places for holes (about pencil-diameter) and mounds of soil. 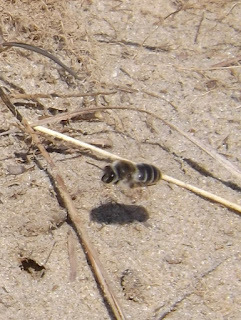 The stingless male bees may be buzzing around about 8 -12 inches above the ground. 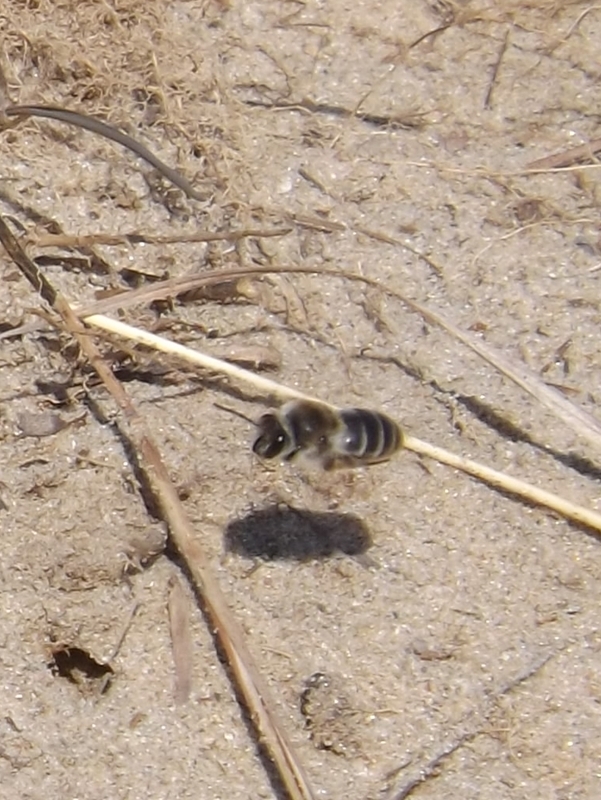 These are ground-nesting bees of genus Andrena or genus Colletes. The eggs hatch in early Spring, and the new adults dig their way to the surface. The males fly around looking for partners. They eat nectar from violets and other plants that bloom very early. They are a sure sign that Spring is here.